Both concealed or on display kitchen range hoods are not only functional but appealing to the eyes. Ever wondered how you can upgrade your kitchen without having to change too much? If so, the answer is simple: change your range hood. 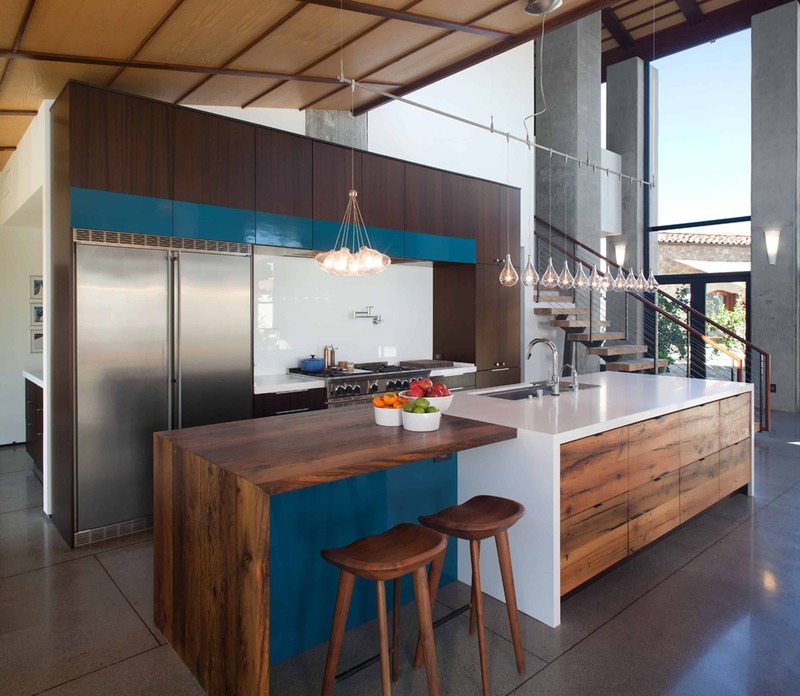 Changing your range hood will completely transform your kitchen immediately. 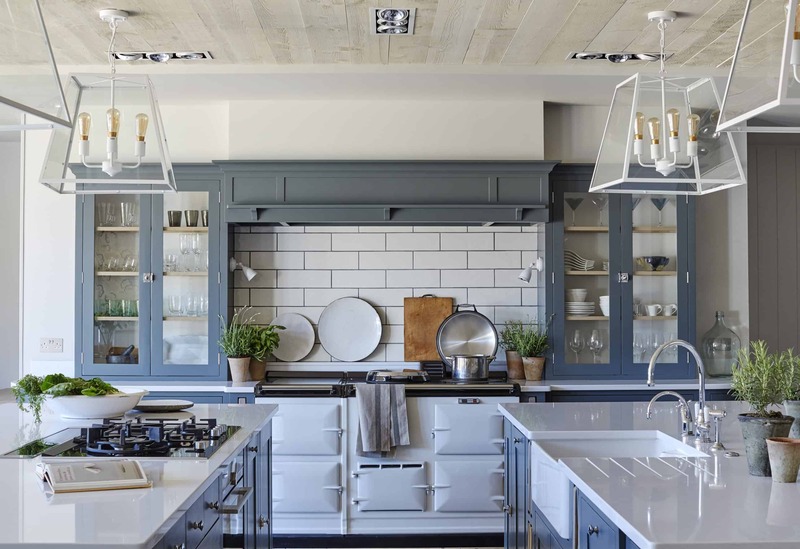 The following chic kitchens with concealed range hoods will prove it’s so worthy to change your steel range hood for a more modern and creative option. Not fond of all the different shades of gray on the market? If this is the case, use one solid shade of gray and work it throughout the entire space. From the kitchen cabinets to your island stools. The key is to go for a cohesive well put together look. 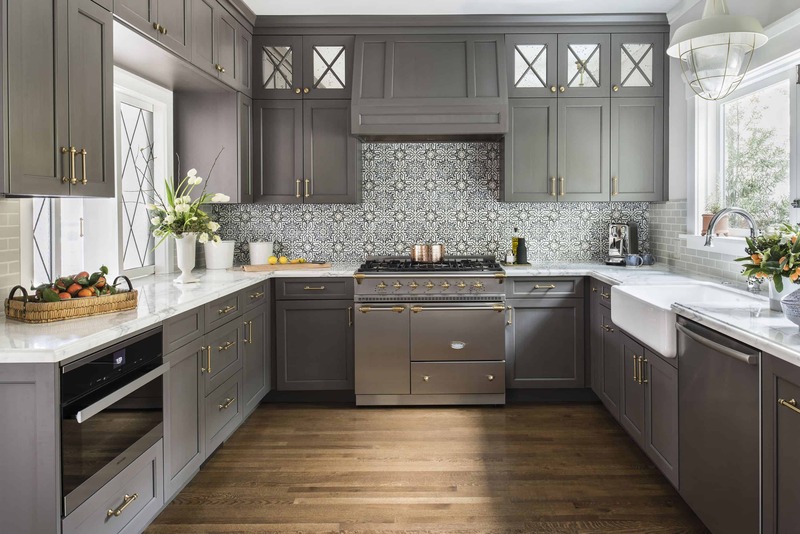 For a sophisticated kitchen select traditional shades of gray. There is something extremely chic and beautiful about having a display of multiple smoky hues. From the lightest shade to the darkest, having a mixture of this elegant color will bring a modern yet classic appeal. 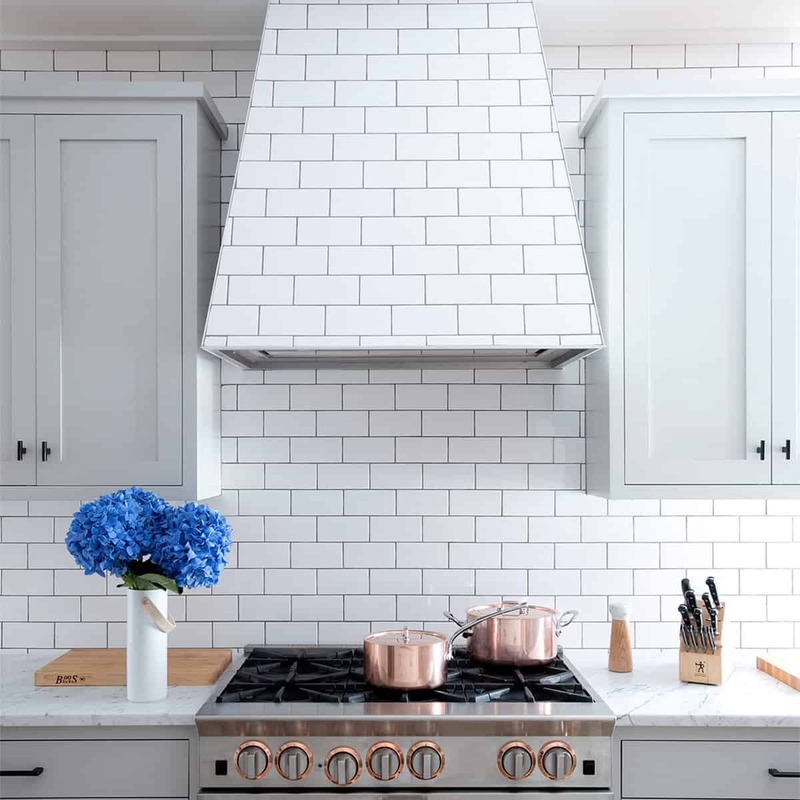 If you happen to like the aesthetics of a range hood yet want to find a way to minimize its effect- adding tiles to the range hood and your backsplash is a way to go. Not only will it disguise how large the range hood is but it will bring visual appeal to the area itself. Instead of fully concealing your range hood mask it with subway tiles. The subway tiles will create a beautiful open space display while still having that sleek contrast that makes the area feel rounded. It’s an easy way to mix contemporary with classic kitchen items. Whether you select an edgy shade such as gray, black or navy, or a minimalist shade of white, beige or even pink you want it to have a glossy finish. The glossy finish elevates the color for a more modern touch. Pair with matte finishes or stain to allow the glossy pain to make a statement on its own. 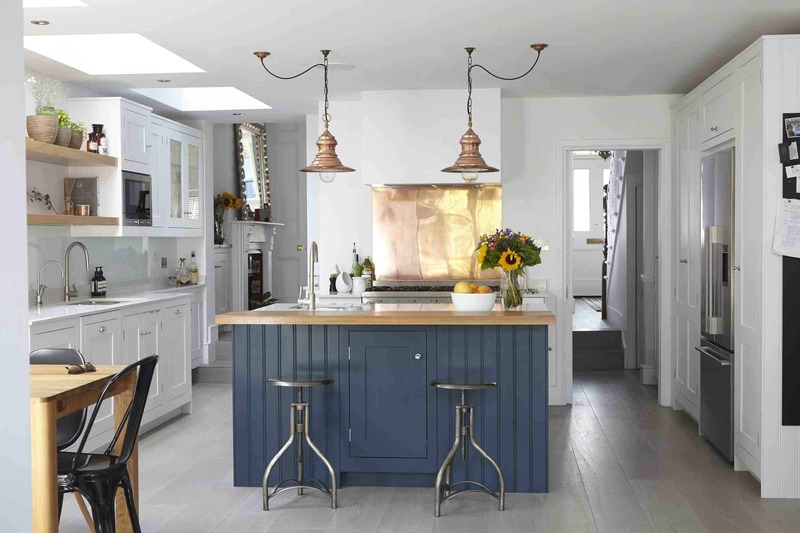 We love the idea of a glossy paint in the kitchen, the key is maintaining the entire space with one or two hues. Having this classic display of colors creates a daring chicness to the space. The richer the hue the better. Coastal decor is perfect when you want to display a welcoming feel in your kitchen yet want to make the best out of color. Additionally, you want to add wooden bits for the perfect blend of modern and classic coastal. Coastal décor is a top favorite for us as it brings forth multiple different styles and colors yet blends perfectly when placed in one specific spot. 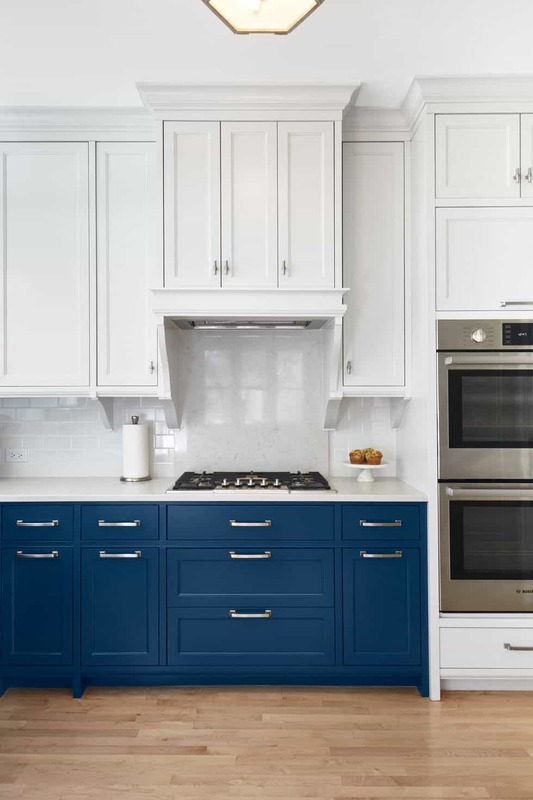 Add crisp hues of white and beige to create a beautiful contrast between the fun shades of blue that contrast the kitchen’s main focal point. 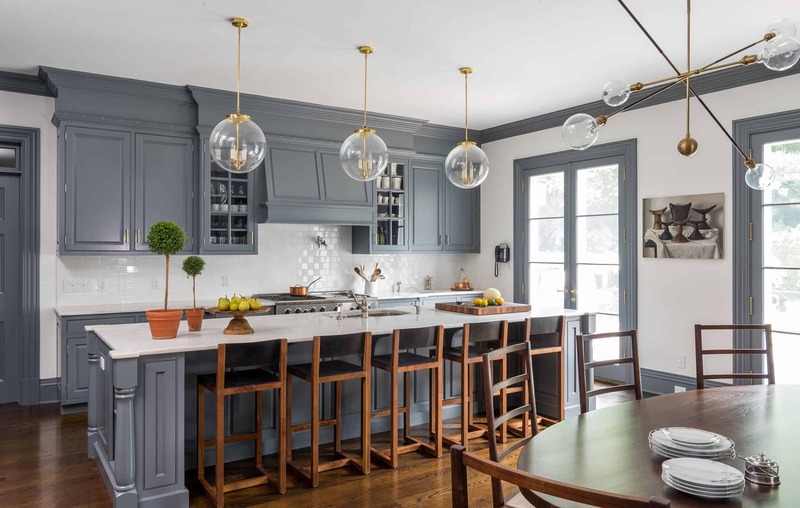 There are numerous possibilities when you have a tall ceiling in the kitchen, you can add extra lights, have your range hood fully concealed or even showcase a bit of it in order to have a modern approach. Pair with classic bits to have a well-rounded appeal. Range hoods tend to be tall and bulky, in order to conceal it consider having an even taller ceiling. A tall ceiling is great as it elongates the room and makes it feel more spacious. Additionally, it works well when you want to have a rustic-inspired kitchen. 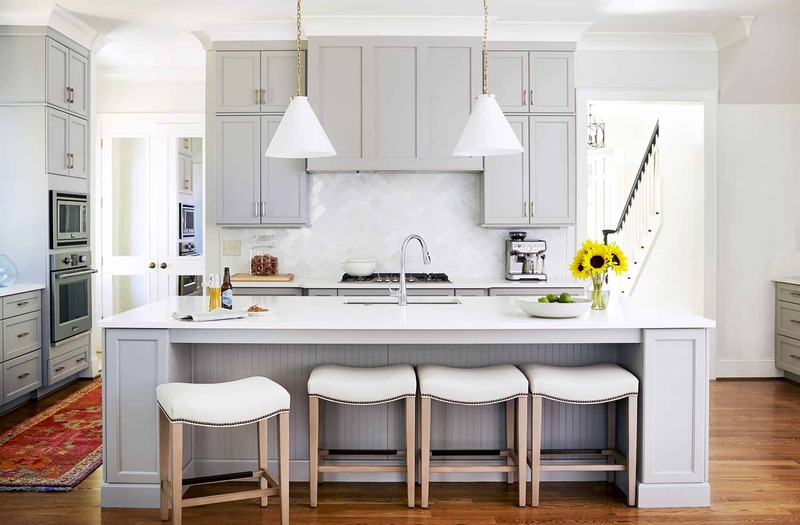 When we all think of cottage kitchens we all think “wood, metals, and little to no color,” we are here to inform that this is coming to an end as cottage kitchens are becoming more modern. Pair with rich colors and unique light fixtures to bring bits of modern to a beautiful classic. 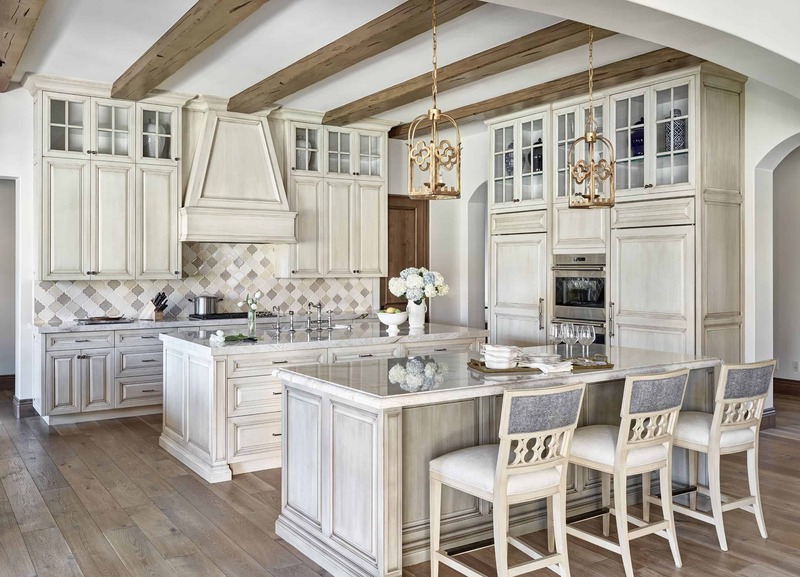 The classic elements of a cottage-inspired kitchen consist of having crisp, clean lines that come together to create a welcoming space. Add bits of marble to further showcase the classic elements of a cottage-inspired home while still having that contemporary appeal. If you love color yet are a bit intimidated by it, adding color gradually is the way to go. Consider painting your bottom cabinets a bright hue and having your upper level a neutral shade or vice versa. The key is having touches of color throughout. There is nothing more fun and demanding than having a colorful kitchen. Adding color to the kitchen is always a good idea. Not only does the space become a center of attention for your home, but there is also the idea that color helps with happiness and brightening the overall mood of the area it is used. A mosaic wallpaper is perfect when you want to use pattern and color yet want to have it in a unique manner. The idea is to allow the mosaic bits to make a statement on their very own regardless of the colors you decide to use. Adding a mosaic magical tile backsplash is the perfect way to incorporate pattern and a unique touch without having to use color. Many times, we want to bring texture to a room without the necessity of overfilling the space with color, a mosaic tile display does just that. Pair your tile with darker hues for a beautiful seamless contrast. We love the look and feel of a luxurious space. There is just something welcoming and appealing about being in a kitchen that screams luxury. Add a few hints of color or go bare with nudes for a classic room. There’s no better way to fall in love with your concealed range hood than to create a luxurious and elegant design. Doing so allows your range hood to feel more upscale even if it is concealed with the rest of your décor. This works best if you have an open floor plan kitchen. Whether your range hood is concealed as part of your cabinets or it’s mildly exposed adding lights to your kitchen with further bring the focus away from the range hood and more towards the center of the roo. Doing so creates a larger feel throughout. 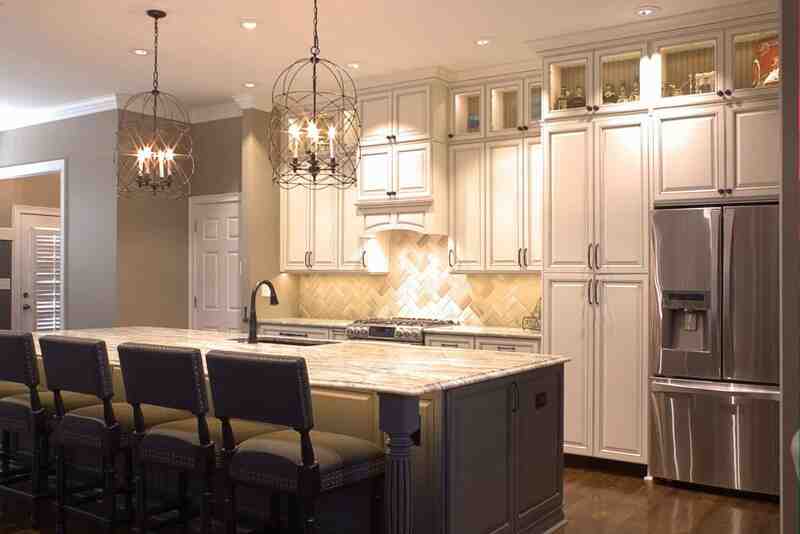 Lighting is extremely important in all areas, particularly in the kitchen. Add double lights to emphasis your décor and give your concealed range hood the spotlight it deserves. Consider unique light fixtures for that stark daring focus we all know and love. Which of these designs are you obsessed with? Let’s discuss in the comments below.